Project Neev was launched in 2012, is a unique initiative that goes beyond classroom learning to also provide moral values amongst the youth to make them better citizens of this nation. Nipman foundation has a team of dedicated, compassionate and well qualified teachers imparting education through Project Neev. The project focuses on providing extra classes in government schools to students of the junior most classes of senior school (Classes 6th and 7th). 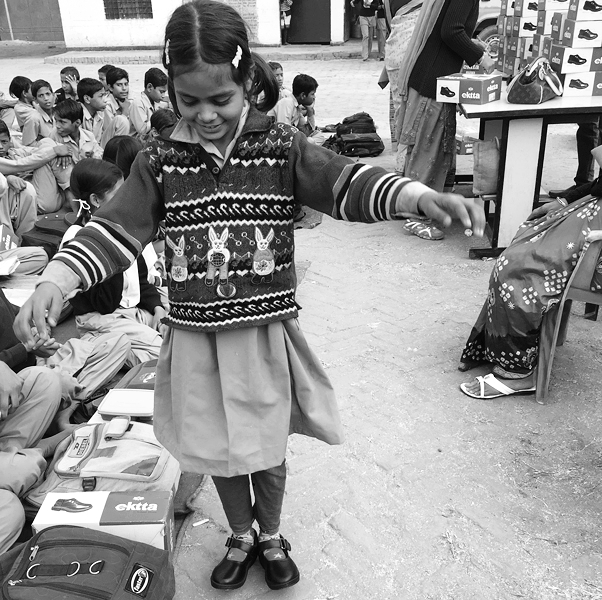 Project Neev Teachers teach students an hour prior to regular school timings. A total of 500+ students have been impacted by this project, most of which are the first generation in their families to be educated. Students are introduced to basic concepts of Mathematics, General Sciences and Communicative English. Besides, a strong stress is laid on Moral Values, Cleanliness and General Knowledge. Encouragement is provided by awarding students on their behaviour, performance and measuring their growth. (ON THE RIGHT) TEAM MEMBERS FROM DELOITTE CONDUCTING A CAREER COUNSELLING SESSION AT ONE OF OUR PARTNER SCHOOLS.